most cookie recipes start off the same, with softened butter and sugar. 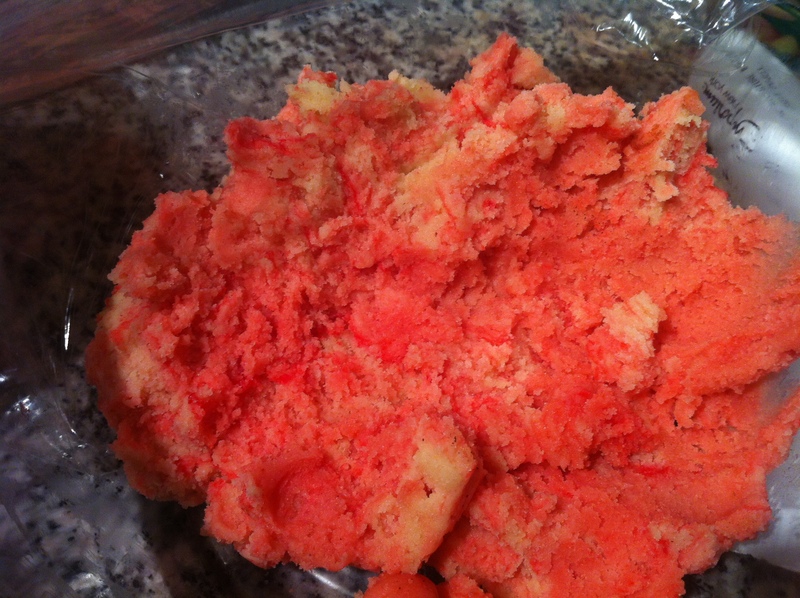 so set out 2 sticks of unsalted butter on the counter and let them soften, do not microwave them. sift together 2 3/4 cups flour, teaspoon baking soda, 1/4 teaspoon salt and 2 teaspoons of cream of tartar. beat in 2 eggs to the butter and sugar, then mix in the sifted dry ingredients. i like to fold it in, and make sure not to overmix! 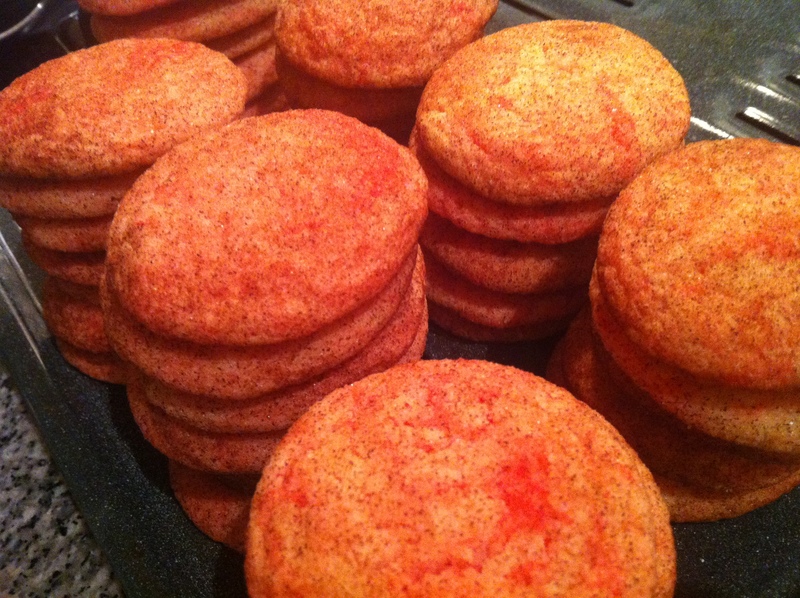 if you want colored snickerdoodles, add a few drops of food coloring at this point. cover with saran wrap and chill for at least 30 minutes to make sure that the butter is nicely chilled before going into the oven! 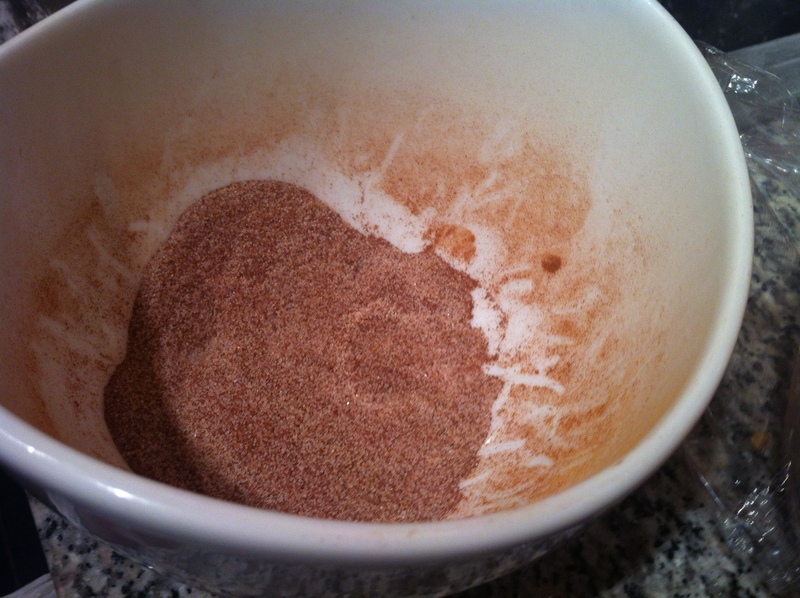 in a bowl mix equal parts sugar and cinnamon, for rolling. 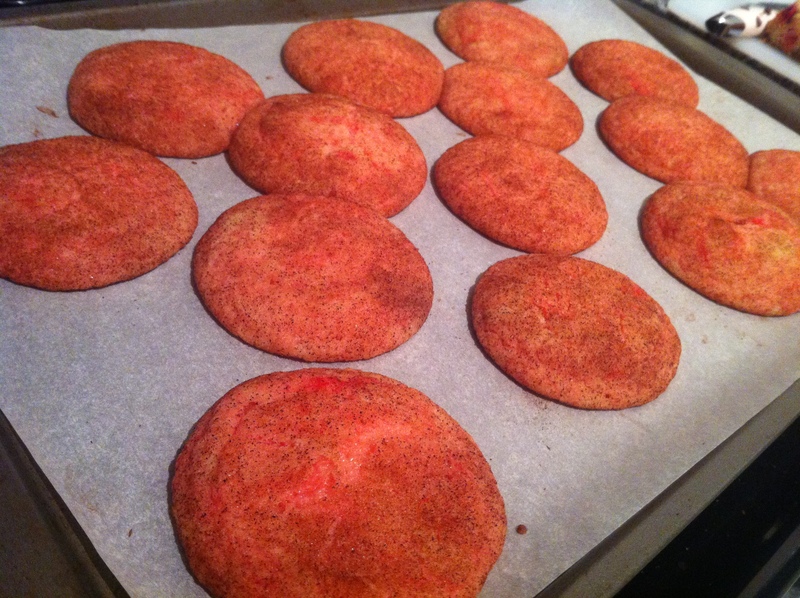 preheat the oven to 400 degrees and prepare some cookie sheets with parchment paper. if you want to take the extra step, chill the cookie sheets in the refrigerator as well. I don’t think it’s necessary, but I just always take this step with cookie baking to make sure that the cookies don’t spread too much. once the dough has chilled, working quickly and in batches, roll the dough into small 1″ balls. then coat these with the cinnamon sugar, and place on the prepared baking sheets. keep in mind the cookies will spread so leave space in between them on the sheet. bake each batch for 10-11 minutes, making sure that each new tray has fully cooled and chilled (if desired) before filling it up with more cookies. 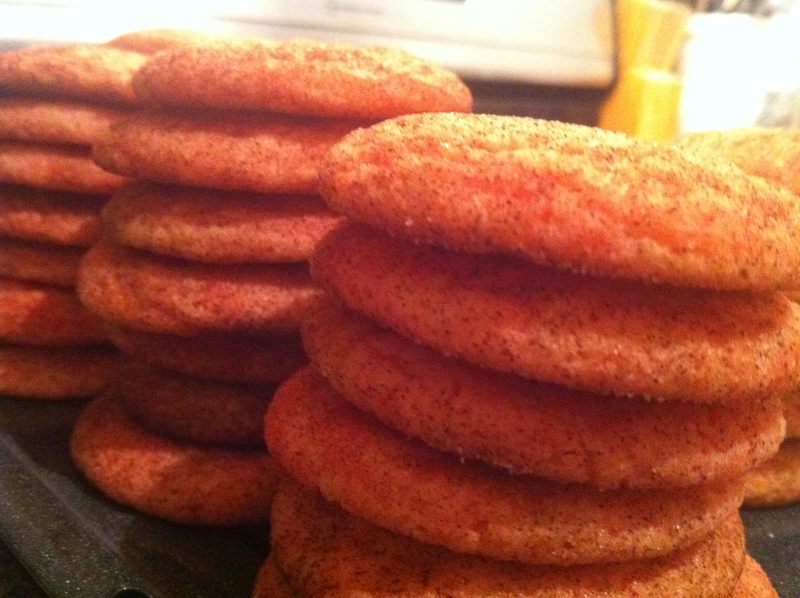 the cookies will crack at the tops, giving them the classic snickerdoodle look. bake each batch for 10-11 minutes until tops are cracked.